The Chopped Clam comes from our Clam series and is very similar in design to our traditional Clam. What sets this model apart is the very distinct chopped square tail, hence, the Chopped Clam. This tail allows for more surface area in the tail section and offers up much more release. The design is similar to a fish but this board is for the guy who wants a board for small waves but does not want to ride a fish. Just like the Clam this design has the single concave bottom for speed and low entry rocker and low tail rocker. The rails come medium-full for a little more floatation. 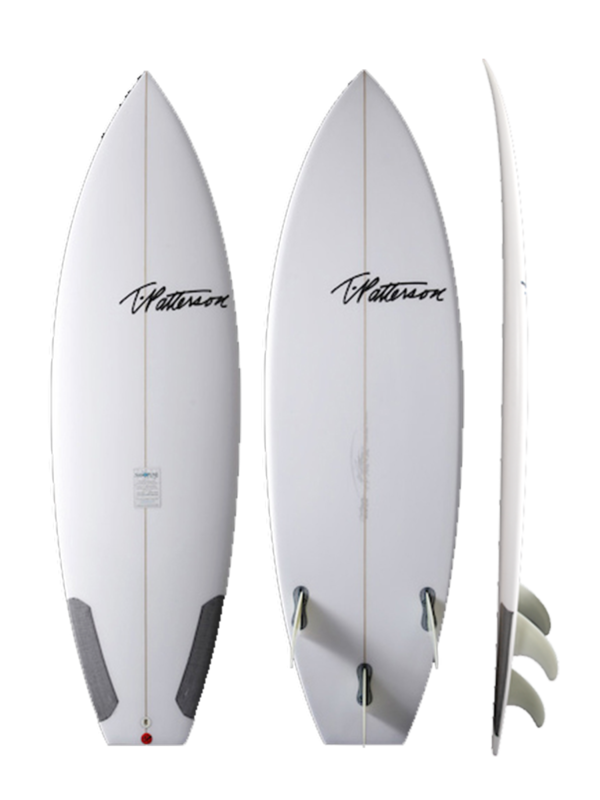 Ride this board 1-2 shorter than your standard shortboard. Works well as a tri-fin or quad.